About Portland Brewing Company Celebrating 30 years of passionate brewing in the Rose City, Portland Brewing looks ahead to a future of unwavering obsession over what our civilized world simply can’t live without: great beer. Founded in 1986, the brewery is one of Portland’s craft brewing pioneers and remains committed to the city for which it is named. 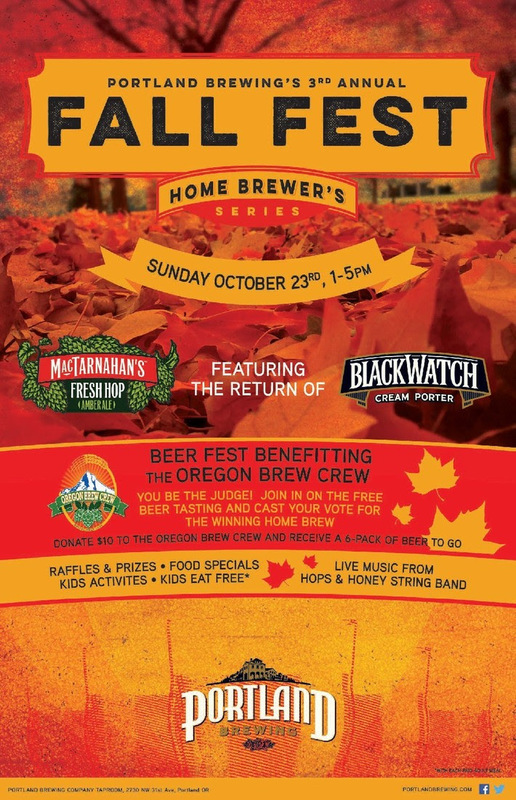 Portland Brewing is located at 2730 NW 31st Ave., Portland, OR 97210. For more information about Portland Brewing Company, head to their website, Facebook and Twitter.